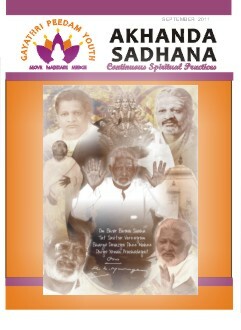 Welcome to the September 2011 Akhanda Sadhana. As usual, this issue is jam-packed with great spiritual stuff. Download by clicking the icon on the left, keep, enjoy and share with friends and family.